This is a story of suffering and heroism, love and hatred, death and survival during the most destructive years of the 20th century in Europe. Originally published in Welsh under the title "e;Yr Erlid"e;, it won the Welsh Book of the Year prize in 2013. 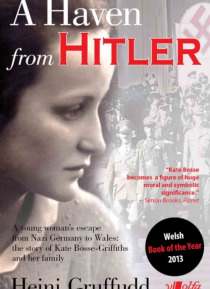 It tells the story of the family of Kate Bosse-Griffiths, of German-Jewish descent, who fled the brutal regime of the Nazis and became one… of Wales' leading academic and literary figures.